In 1961, Margaret Burroughs and her husband, Charles Burroughs founded the Ebony Museum of Chicago, later called the DuSable Museum of African American History. The DuSable is the oldest museum of its type in the United States. Margaret Burroughs was born Margaret Taylor on November 1, 1917 in Saint Rose, Louisiana. Her parents, Alexander and Octavia Taylor, moved to Chicago and young Margaret completed her education in the city’s public schools, graduating from Englewood High School in 1933. She earned her teacher’s certificate in 1937 from Chicago Normal College. She continued her education at Chicago Teachers College as well as the Art Institute of Chicago, where she earned a B.E. in Art Education in 1946, followed by an M.A. in 1948. Taylor married artist Bernard Goss in 1939. The couple had one daughter, Gayle. Through the 1940s Taylor Goss taught in Chicago’s schools and in 1947 produced her first children’s book, Jasper, the Drummin’ Boy. She and Goss divorced and on December 23, 1949, she married Charles Gordon Burroughs. Through the 1950s and early 1960s Burroughs produced a series of children’s books while teaching at DuSable High School. She also painted and produced sculptures in marble and bronze. In 1967 Burroughs and Dudley Randall published For Malcolm: Poems in the Life and Death of Malcolm X. One year later she published her own book of poetry titled, What Shall I tell My Children Who are Black? In 1970 she published a second volume of poems, Africa, My Africa. 1961, Margaret and Charles Burroughs, founded the DuSable Museum on the ground floor of their Chicago home. The museum outgrew the Burroughs’ home and eventually moved to its own buildings in Chicago’s Washington Park. The DuSable’s reputation grew as well as it gained international acclaimed as a resource for African American Art. The DuSable Museum has a permanent collection of more than thirteen thousand artifacts, artworks, and books and hosts various educational programs dealing with everything from art history to artist’s history. Burroughs was also a skilled printmaker who for decades worked with linoleum block prints to create images of African American Culture. These prints have earned her exclusive shows at museums along the east coast, including the Studio Museum in New York. In 1975 she received the President’s Humanitarian Award from President Gerald Ford and was named one of Chicago’s most influential women by the Chicago Defender. In the 1980s Burroughs served on the Chicago Board of Education. Burroughs continued to be active in the museum that she founded in 1961. She was also a consultant to other museums which have patterned themselves after the DuSable. 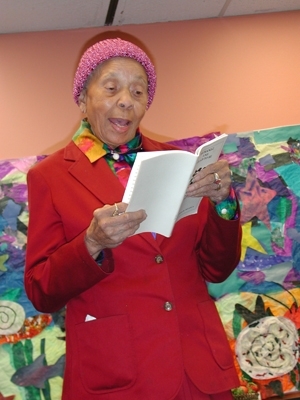 Margaret Taylor Burroughs died in her south side Chicago home on November 21, 2010. Sterling Stuckey, Life with Margaret: The Autobiography of Dr. Margaret Burroughs (New York: In Time Publishing & Media Group, 2003); www.fineartstrader.com; http://dickinsg.intrasun.tcnj.edu/akaauthors2/Taylor.htm.